Here at Bo Knows Dogs we love all dogs of course but have a special spot in our hearts for the big puppies. Below is a list we put together of the top 5 dog toys for big dogs. Our first criteria was how safe the toy was for the dog. The toys needed to prove to us that they were non-toxic, choke safe, and good for the pup to chew on. Next, we tested the durability of these products. All of these toys were put through the grinder and are the toughest of the tough. We made sure to pick the toys that are one notch below indestructible. Finally, our last test was how enjoyable it was for the puppies! This may seem obvious but it really comes down to how fun the toy is for your dog. If a pup won’t play with his or her toy, then it’s not worth buying it in the first place! This is the all-around “go to” toy when it comes to dog toys. It’s unique shape makes it fun every time you play fetch with your pooch because you never know which way it’s going to bounce! 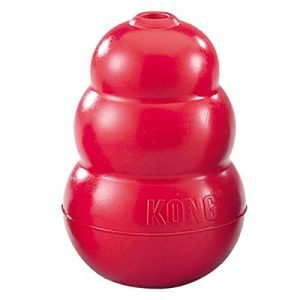 When not in use, just fill it up with your pup’s favorite treat and let him/her go to town. Safe, durable, and fun…this toy has it all and that’s why we put it up at the top. This toy is perfect for the big dogs because it’s well…BIG! This soccer (or futbol) sized ball has some grooves in it so your pup can get his/her grip on it while your playing. 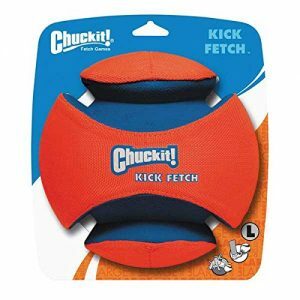 So if you want to practice your kicking skill, get a hold of one of these Chuckits and your pup will appreciate it! Calling all frisbee and discus throwers! 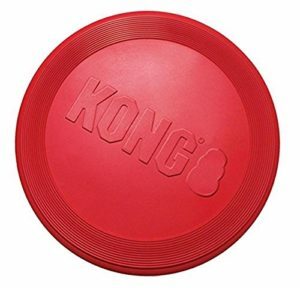 This is another hit toy from the folks at KONG. You and Fido will have an awesome time throwing and retrieving this platter. BACON! Seriously…all dogs love bacon. 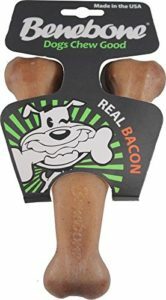 So that’s why our fourth place dog toy is the bacon flavored wishbone from Benebone. Who says toys shouldn’t taste good? 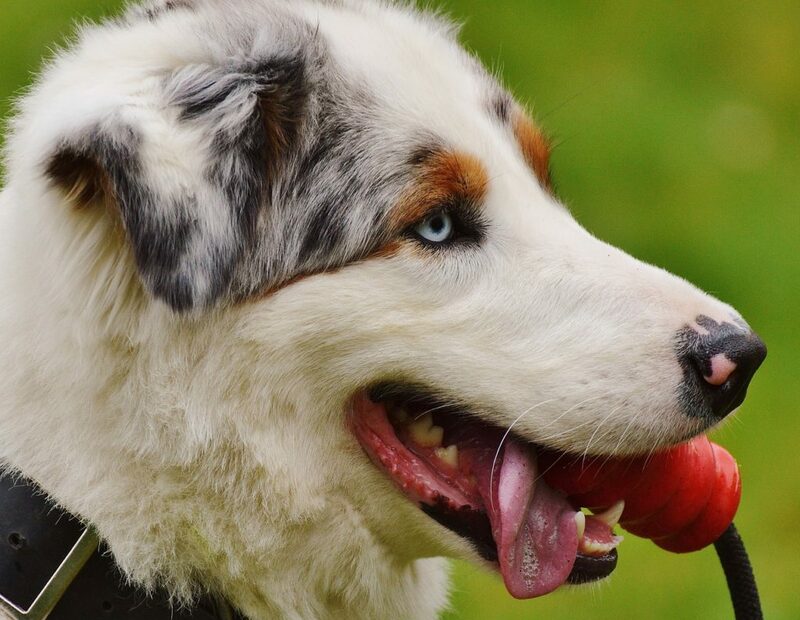 Our final choice is one of the most durable dog toys you can get. 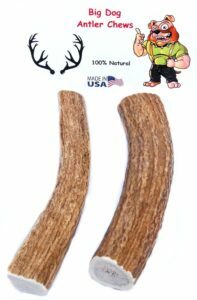 If your pup is a chewer, then the Elk Antler is the top choice to get his/her chewing fix in! These things last forever!